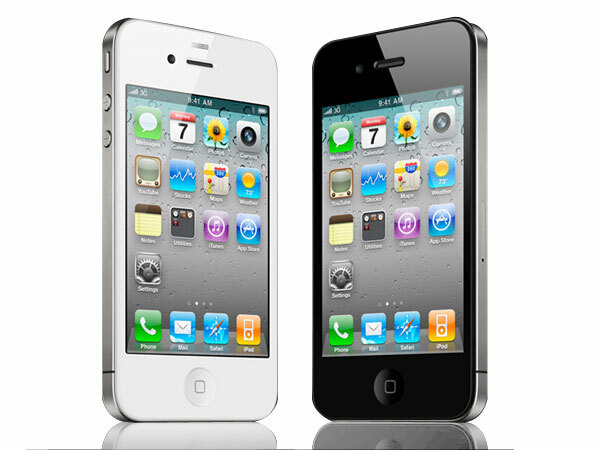 • for those who already enjoy the latest Apple smartphone – to once more make sure they’ve made the right choice! Even those who don’t fancy Apple gadgets agree that in our time the Apple iPhone 4S, 4 and 3GS belong to the best-selling line of smartphones ever. We all perfectly know that demand breeds supply, so every now and then it is rather difficult to find exciting iPhone 4S contract deals. This may be one of the main drawbacks hindering you to get an iPhone 4S that is so stylish nowadays. Below you’ll find 4 major reasons why you should not miss the chance to feel real smartphone experience with iPhone 4S! Performance – this is usually the key factor in deciding which smartphone to buy. It’s quite difficult to think of any other phone that works that quickly and ensures such a smooth performance. The new iPhone 4s boasts with a dual-core processor found in Apple’s latest tablet, but it is much faster than its forerunner. This improvement is most vivid while playing games- no crashing, no slowdown, no problems! Siri – the major point of difference of iPhone 4S, and probably the feature that makes Apple’s latest smartphone outclass others in the market. The intelligent voice assistant that listens to you, completes your commands, tells you jokes, replies to e-mails and text messages instead of you, reminds birthdays, meetings and other important dates… Let’s agree- it’s hard to find assistant like Siri in human world too. But iPhone 4S has this precious feature built-in and it is always ready to help you! Camera - this Apple gadget with its 8 megapixel camera turns to be a rather serious photo-taking machine. Moreover, if you consider the camera apps available in iTunes (such as Instagram), shooting experience becomes even more exciting with iPhone 4S. Despite being the one of high quality, iPhone 4S camera is one of the fastest, so it guarantees you capture each and every magic moment on the go. With the latest iOS update 5.1 iPhone camera is even faster to access, so basically you always have it on your fingertips. Battery Life – no smartphone would be good if its battery life is not satisfying. Even despite the fact that iPhone 4S comes with a A5 dual core processor, 8MP camera, and Siri assistant, the device boasts with a rather impressive battery life that offers you up to 8 hours of talking, up to 10 hours of video, and listen to music for a staggering 40 hours straight. And one more thing … ( in style of Steve) – if you consider the fact that next iPhone- may it be iPhone 5 or simply The New iPhone, has a long, long way to come, you’ll not be disappointed when you buy iPhone 4S, as the newer smartphone won’t be launched for quite a long time, as it seems. Hope we convinced you to finally make a lifetime decision you’ll never regret and move on iPhone 4S!